The stock honda manifold pressure sensor can only read up to 1.5 bar (about 10psi boost). 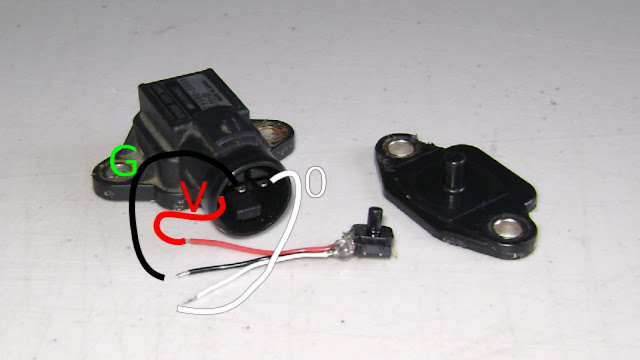 This quick tutorial will show you how to make it read up to 4 bar (about 45 psi). Please note that before you start, you're car will not run correctly (if at all) unless it has a tune made for the sensor. 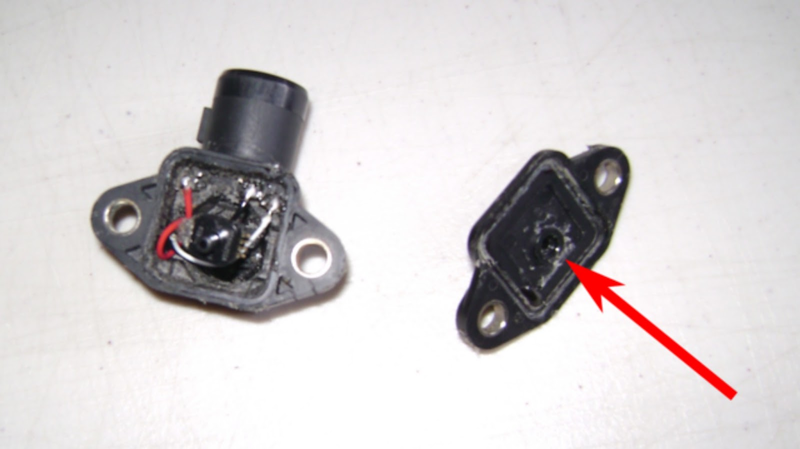 First take a stock map sensor and seprate it at the seam. Cut around it with the knife and pry up, you can try to heat the glue but I was able to get it without that. Be careful not to crack anything, expecially the tip on the bottom cap. Once it's open clean everything out of the insides, scrape it as clean as possible to expose the three prongs leading to outside the shell. In the process you'll destroy the old sensor but that's fine. Make sure the three prongs are clean of all dirt and dirbris for soldering. Now take the sensor measure the tip. Using a drill bit of slightly smaller diameter drill out the bottom cap so it fits in snugly. Don't drill in too far that it doesn't seat against the bottom. Cut the wire into three sections about 2cm each. Strip about 2-3mm off each end. On the sensor we need to solder wires to three pins, 5v+ (pin 2), G (pin 3), and output (pin 4). The notch is pin 1, see the spec sheet for more details on the sensor. Make sure that no solder is bridging the pins. Next we need to connect the wires to the casing. If you look inside the plug, you see the pins are labeled V, G, and O. Solder the corresponding wires to the pins we cleaned off in step 2. If you have to, use a multimeter to check that you have the right pin inside. 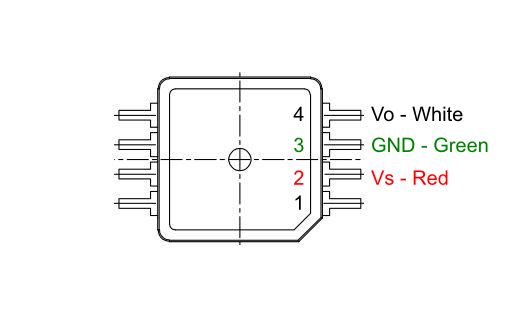 Now check that your connections are good using the multimeter by having the multimeter check for connectivity over the V and G pins. Now all you have to do is put the sensor in the hole we drilled earlier and glue it in place. Then put glue around the outside caseing and clamp it together using two bolts. Let it dry and its good to go. The glue and snug fit will prevent any leaks and make sure that it is making correct readings. Reposted. Thanks and good luck!